Schnuck Markets Inc. is looking to grow its digital presence as it grows its physical presence. The regional grocer has entered a multiyear partnership with fellow St. Louis-based company World Wide Technology (WWT) to develop an omnichannel experience that reinforces relationships with current customers and helps draw new ones. 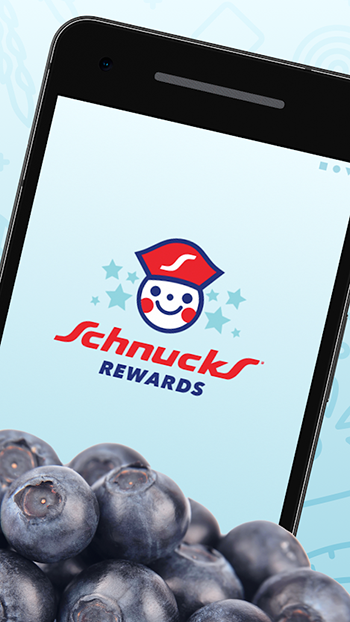 Under the first phase of the alliance, Schnucks on Aug. 1 launched Schnucks Rewards, a free customer-loyalty program — powered by a mobile app — that awards members points that can be redeemed for money off future purchases. Customers sign up via the Schnucks Rewards app, online at schnucks.com/rewards or by using the login information from their “Schnupons” digital coupon account. To earn points, shoppers scan the barcode in the Schnucks Rewards app or, if they don’t have a smartphone, enter their phone number at checkout. Members get 10 points for each dollar spent on qualifying purchases and can redeem dollars off as they are earned or allow them to accumulate. “We’ve been working with World Wide Technology for six months or a bit longer now, and they’ve helped us with not just launching Schnucks Rewards but also looking at other ways to address the customer experience, whether that’s being able to order ahead, find out where items are in-store, refill a prescription and other areas we know customers would like assistance in,” said Chace MacMullan, director of brand and digital marketing at Schnucks. “They’re really helping us define the user experience and how to best go to market with it,” he noted. Besides bug fixes and usability enhancements over the coming weeks, Schnucks aims to provide more product transparency within the app so customers with food allergies or certain nutritional or dietary requirements, such as gluten-free or paleo, will have ready access to the information they need. The supermarket chain also is looking to add functionality so that shoppers could order a cake, flowers or a party tray for special occasions, such as a birthday or holiday gathering, through the app or online. At the rewards program’s launch, Schnucks said initiatives in the offing included promotions like double points and free items exclusively for members. But MacMullan pointed out that the data collected from Schnucks Rewards will unearth more insight on customers and enable more personalized offers. MacMullan said the Schnucks Rewards app has seen a strong customer response thus far and a high adoption rate. Shortly after its launch, the app broke into the “top free shopping” category in the Google Play (Android) store, WWT reported. An iOS version of the app also can be downloaded from the Apple App Store. Schnucks had piloted the rewards app with employees in a beta test before the launch. The effort also provided an opportunity to train employees on the program. That will lead to additional investments in more personalized promotions and “a more cohesive omnichannel experience,” potentially including such features as buying online and pickup in-store, according to Hogan. For online grocery, Schnucks offers home delivery via Instacart — branded as Schnucks Delivers — through all of its stores. The bigger play in digital comes as Schnucks is enlarging its retail store footprint. In mid-September, the grocer unveiled a deal to acquire 19 St. Louis-area Shop ‘n Save supermarkets from Supervalu Inc. Under the deal, expected to close in late October, the company also is acquiring four fuel centers and 16 pharmacies, as well as prescription files for 10 other Shop ‘n Save in-store pharmacies. According to Hogan, Schnucks Rewards can provide an “olive branch” to these new customers. “The opportunity is additional market share, but the complexity is how do we get to know these customers that we may not have known before? So building in an immediate incentive for people who may only have gone to a Shop ‘n Save store and creating a valuable experience between that new customer and Schnucks can be really critical,” he said. The transaction with Supervalu will lift Schnucks over the 100-store mark to 118 supermarkets (including about 110 pharmacies, plus one stand-alone pharmacy) in Missouri, Illinois, Indiana, Wisconsin and Iowa. The chain also opened a new supermarket in Maplewood, Mo., on Aug. 22 and plans to open another in Warrenton, Mo., later this fall.